Fall Intermed Almost Here – Register Now! Intermed, our gathering of healthcare students and professionals for teaching, worship and fellowship, is almost here! Registration is free and now available at tiny.cc/intermedfall2013. More details are available by accessing the flyer, but we’ll gather at Drexel University College of Medicine on Saturday, September 14th from 9a-12p to hear Drs. 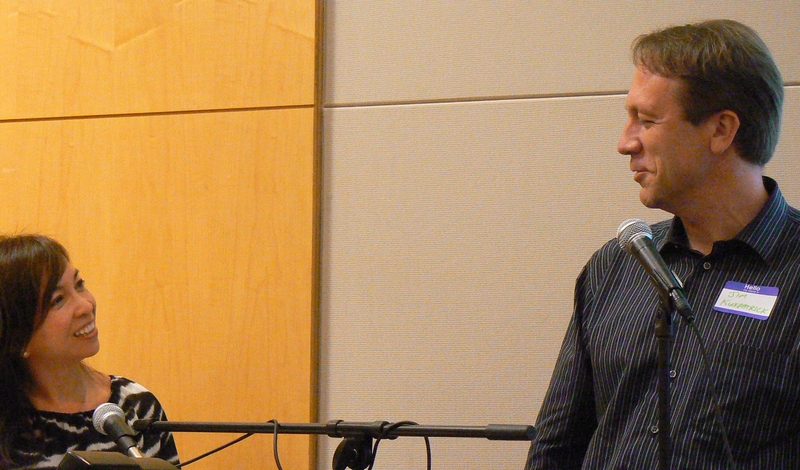 Jim & Thanh Kirkpatrick speak to us on the art of making wise, God-honoring transitions. We’ll take a freewill offering for future Intermeds during the event, and, for those who are able, go out afterwards for lunch. We hope to see you there! As I write, we’re in the thick of what we call ‘startup season’, the time when our students from our eight campuses are returning. We’re touching base with leaders, meeting the first-years we prayed for and generally feel like we’re riding a roller coaster without a seatbelt. It’s our favorite time of the ministry year! Although it’s busy right now, we wanted to briefly update you and ask that you pray for us during this exciting time. Here’s are some selected highlights and areas where we need prayer. helping our leaders as the year begins. As the year begins, our leaders are coming off of their ‘last free summer’ and then diving right into the start of their year. Over the summer, but especially now, I touch base with each campus, helping the leaders to carry out and adapt the plan they developed earlier on. At Penn Dental, for example, I joined the leaders for a half-day planning and vision retreat and had the opportunity to lead a bible study to help set the tone for our time together. meeting new students. It’s so exciting to meet the first-year students that we prayed for! Each of them has a unique story of God’s faithful calling into medicine and it’s our privilege to start helping them on this stage of the journey. hosting brunches. Our home bible study brunches are a special opportunity to host the students and serve them physical and spiritual food. This fall, we’ll be studying passages from the Book of Numbers and meditating on what it means to walk with God ‘in the wilderness’. 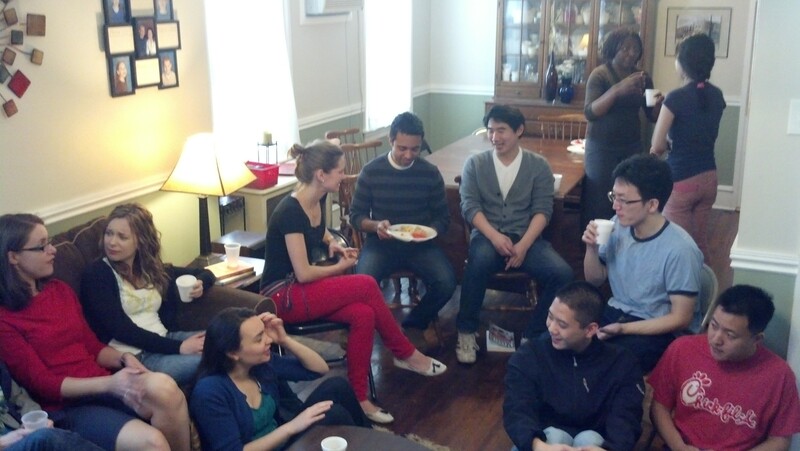 In addition to offering nourishment, the brunches are also a great opportunity for students to connect with others in their situation from around the city, and, meet our family more personally. planning for key events. On September 14th, we’ll be holding our annual ‘Fall Intermed’, a gathering of local healthcare students and professionals for worship, teaching and fellowship. My role is probably best described as a hybrid of project manager, consultant, and pastor. In truth, the actual event is icing on the cake of getting to work with and influence our very best students as we prepare. Later, on Oct. 12-13, we’ll be holding our first-ever student overnight retreat. Dr. Josh Uy and I will be speaking on the theme of ‘Rest For The Weary’, but we’ll also allow plenty of time for fellowship and recreation. So, there’s a short sampling of what we’re up to right now. Thank you for standing with us during this intense, but wonderful, time of the year. praise God for the many fantastic students he’s brought to our city. Praise also for our ministry council that works so faithfully alongside us, supporting us and ministering to the students. pray that the Lord is deeply at work in students’ lives, drawing them to be part of our campus groups and faithful, local churches. Often the academic intensity can be surprising and some Christians stop connecting with God and other believers. pray that God would help me invest in, and help, our campus leaders. pray for energy and discernment. With so many campuses, this is a season of intensity for us personally and we need God’s strength. We also need wisdom to know what each campus needs, and, who we should invest in. pray for God’s blessing as we hold our brunches (first one is this Sat., Aug. 24th) and prepare for both Intermed and the overnight retreat. praise God for a fantastic week away with Sharon in Quebec City early in the month. After 15 years of marriage, we’re still best friends! One of the most exciting things about our ministry is that God seems to know – and provide – exactly what we need at just the right time. This was certainly the case at our recent ‘Intermed’ event, where 95 healthcare students, residents and professionals gathered for worship, teaching and fellowship. 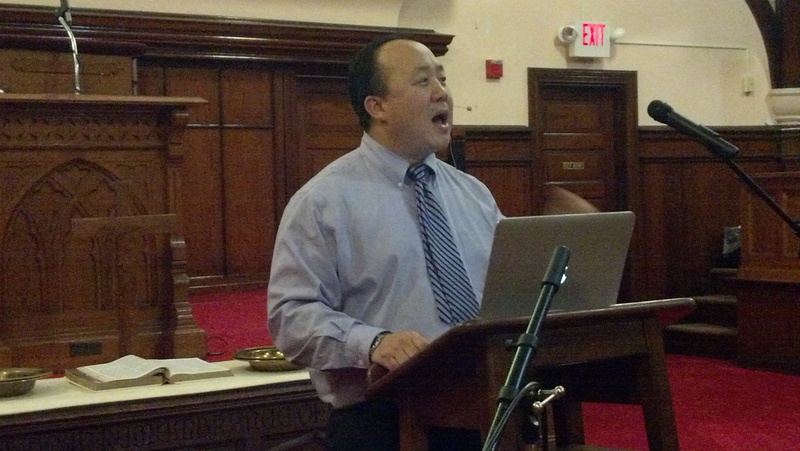 At the center of our time together, Dr. David Suh (Cancer Treatment Centers of America) provided two excellent talks on what it means to receive, and then give away, God’s love. In fleshing that out, his call to examine the ways we ‘put God in a box’ was incredibly challenging. By sharing his own testimony, Dr. Suh helped us look at our own lives and see if we, too, often assume that God can’t or won’t do more than we can do on our own. As a group, we tend to rely on our own intelligence and ability to get things done, so his teaching reminded our healthcare community that God intends to do ‘far more abundantly than all that we ask or think, according to the power at work within us’ (Eph. 3:20). we spontaneously decided to have a time of large group prayer, led by Dr. Suh. It was refreshing to connect with God right there, repenting of sins that had been holding us back and asking Him for new power as we move forward. As I visit our area campuses, I’ll be touching base with the students and seeing how God continues to work through our time together at Intermed. While it’s critical to reach students of faith on our campuses, we also want to reach out those who are searching. Last Tuesday at Drexel, I had the opportunity to participate in a ‘Doubt Night’ with a local physician (Dr. Keith Herzog) and pastor (Rev. Steve Munz). Together, God gave us the opportunity to field questions from the audience about why we believe Christianity is true. While nothing dramatic took place, many good questions were asked and it gave the students and I an opportunity to follow-up with people afterwards. I’ll be having lunch with one student who is seeking, something I’m looking forward to. Regardless of who we’re interacting with, we’re thankful for you, our supporters, mindful that we are extensions of you in reaching Philadelphia’s healthcare campuses for Christ. 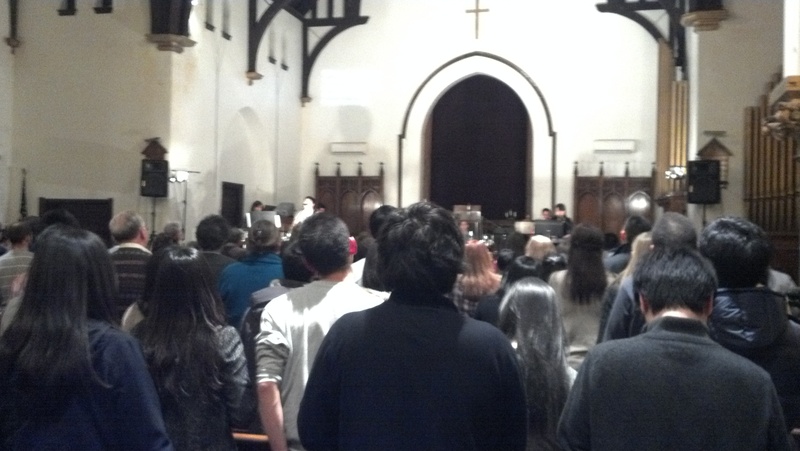 Praise for God’s work at Intermed & Doubt Night! Praise also for the many, many people who made Intermed a success, especially our student leadership team. Please pray for ongoing fruit – that God would convict hearts about areas of growth, and, that seeds planted at Doubt Night would sprout. 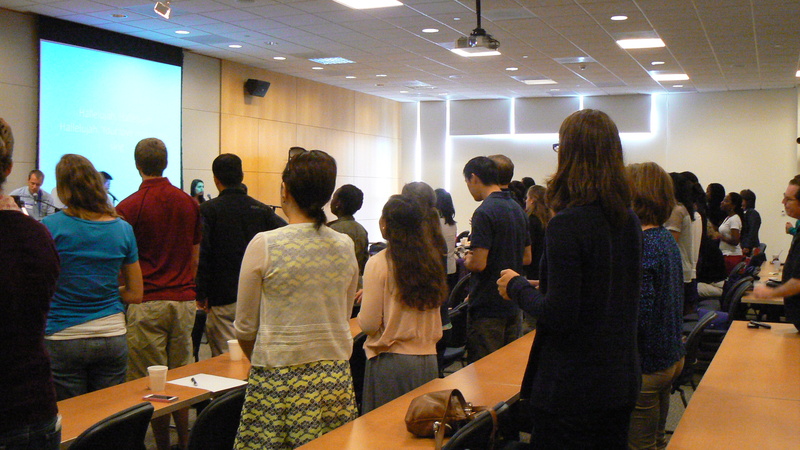 Pray also that the Drexel students and believing faculty would be prayerful as we follow-up with those who came. Praise for a still-forming group of male healthcare students from around the city who are eager to figure – and live – out what it means to live as a Christian man. Please pray that God would give discernment for next steps. 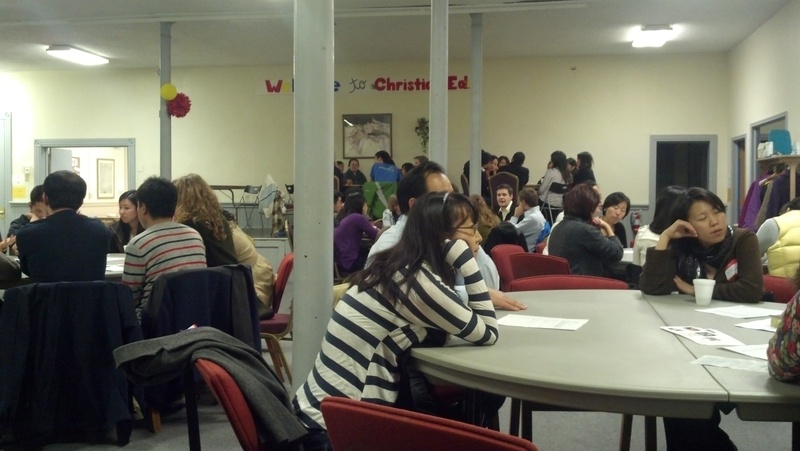 Please pray also for a good year-end financially and spiritually with the students. I want to help the leaders do a ‘halftime report’, seeing how things are going and making any necessary course corrections. We also look forward to our last brunch for the semester on 12/8. Finally, pray also that God would be preparing hearts for our annual CMDA Northeast Winter Conference 1/18-20. One week ago, Dr. David Suh, a radiation oncologist at Cancer Treatment Centers of America, spoke at our recent Intermed event. His two talks covered receiving and giving away God’s love. Many thanks to Pilgrim Church for hosting the event, and to Drew Batzell and Stephen & Lauren Campbell for recording the sessions. It’s hard to read the words, but these are index cards the Jefferson leaders used to map out their ministry vision for the year. It’s hard to believe, but already another year is well underway! This year, I’m spending time at 7 different campuses, so this has been an especially intense, but wonderful, season of ministry. Here’s a quick roundup of what’s going on. How Are We Going To Strengthen This Ministry & Reach This Campus This Year?! Since we experience 100% leadership turnover on each of our campuses every year, helping our leaders develop and carry out a vision for their campus is a critical, and significant, part of my ministry. Although many issues – like outreach – occur at all of our campuses, the key issues tend to take on a specific flavor at each one. At Temple, we’re beginning to partner with local healthcare providers and pastors in an effort to holistically reach the surrounding community. At Penn Dental, the students are re-launching the chapter after a few years of relative inactivity, so we’re wading through what that means. Drexel is trying to reach their campus community more actively, hosting a ‘Doubt Night’ and possibly participating in a forum on abortion. And Penn (Med) is asking what it means to include other believing healthcare (i.e., nursing) students in their ministry, but with an eye to helping them launch their own, independent ministries in time. I really enjoy coming alongside the students and helping them meet the particular challenges, and seize the specific opportunities, that God lays before them! For this first month or two, it’s so important to build relationships with new, and returning, students. As the cliché goes, “people have to know you care before they care what you know!” The primary way we care for the students is simply by “showing up” on campus, or, inviting students into our home. 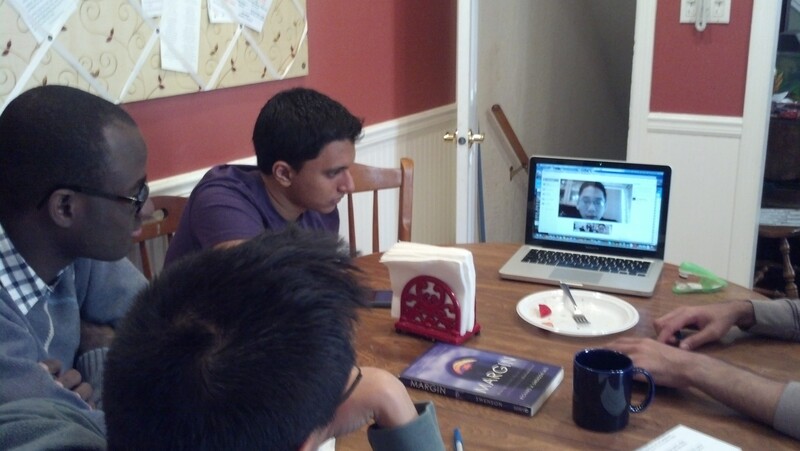 Already, we’ve hosted two Saturday morning brunches, with 20-25 in attendance each time. I’ve been to each of our campuses, some a few times, for their activities fairs, large group meetings, leadership meetings, individual discipleship times, and, just to “hang out”. Sharon and our kids have also joined me as they’re able so that students can start connecting with them, too. As we build these relationships, trust grows and ministry moves forward. As you may remember, each year (sometimes twice) the students gather for a citywide time of fellowship, teaching and worship through song. This fall, it’s been my privilege to put together, and guide, a phenomenal team of students as we get ready for this effort. While at first summer breaks and busy schedules made coordinating calendars challenging, God has given us real momentum and things are moving forward nicely. God led us to a theme of experiencing, and giving away, His love. This is our passion and prayer. But more than the event itself, the process leading up to the event is an amazing ministry opportunity to invest in our very best leaders and help them learn how to think about, and do, ministry so that they too will be ready to guide ministries on their own someday. We want to raise up leaders who will raise up others leaders, the chain continuing until Christ returns. This is how the Kingdom moves forward! So, there’s a quick snapshot of what God is up to. There’s so much more to share, but we’ll say more in future updates. Thank you, as always, for your love, prayers and gifts that make this ministry possible. praise for so many new students; pray that they keep coming out, and, that God shields them from getting consumed by their studies. praise for faithful leaders at each of our campuses; pray that God helps us discern where we need to provide guidance at each campus, and, how. pray for new discipleship relationships for Sharon and I to form with the incoming (first-year) women and men (respectively). pray for Penn Dental in particular as they re-launch their ministry this year. Each class (there are four) has different schedules, making coordinated efforts challenging. pray for our Intermed team as we move toward our fall gathering (Nov. 2-3). We need God’s Spirit to guide us! Pray also that God will help me mentor our students throughout the process. Our heart is that their vision for the Kingdom expand, and, that they will become equipped to teach others what they are receiving. And, that God will be glorified in it all. As this academic year ends, I’d like to tell you (with his permission) about one student’s journey to faith in Jesus. Toward the beginning of the year, Mat liked Christianity and its premises, but admitted that he was somewhat on the outside looking in. Then, after returning to his apartment, he realized he lost his checkbook on campus. Understandably upset, he returned to campus and ran into another student who could tell he was upset. After Mat filled her in, she offered to help him look for the checkbook even though she barely knew him. Although they were not successful, the student said she would pray for Mat and that really struck him. He felt like God was becoming real in his life, the very thing he’d been hoping and praying for. Two days later, on Sunday, he found a Facebook message from one of his fellowship’s leaders saying that the wallet was found and already back in his campus mailbox. Beyond being relieved, he again saw God at work and becoming present in his life. A few days later, though, doubts began to set in. ‘Was that really God? Or, was it just a coincidence?’ Mat continued to read his bible and connect with Christians on campus, but still, he hadn’t made a decision to follow Christ personally. I can remember one meeting with him where I asked what was holding him back. He reflected for a moment, then said, “I’m not sure. It’s like a jigsaw puzzle with a few pieces missing, but I’m not really sure what they are.” And so, I continued to pray with and for him for God to keep reaching out to him. He then reminded me of a conversation we had where he shared about a Mark Driscoll sermon he heard a month or two ago. The sermon, from Luke, said that at some point we need to be satisfied with the evidence we have and make a decision to embrace Christ personally. Although Mat didn’t become a Christian when he first heard the message, he really thought about it and eventually decided he needed to ‘go all in’. Although there were no ‘fireworks’ or a clearly-defined moment of faith, something very dramatic has happened to Mat. Like Christ said, “whoever hears my word and believes him who sent me has eternal life. He does not come into judgment, but has passed from death to life” (John 5:24). It’s been so exciting to see God’s faithfulness to Mat and watch his journey to Jesus. He also understands that, in some ways, the journey is just beginning. Thankfully, he’ll have a break from classes this summer, so we’re planning to meet together regularly to see what it means to be a disciple and keep growing in Christ. It’s such a privilege for me to play a small, but real, role in the lives of students like Mat. Thanks for your prayers and support that allows us to journey alongside them! praise God for His work in Mat’s life and pray for that work to continue. praise God for a phenomenal year of reaching students for Christ. We saw so many changed lives and watched the students reach out with passion to their classmates! pray for our summer: we will host a new bible study on 2 Timothy in our home and meet with many students individually for discipleship. 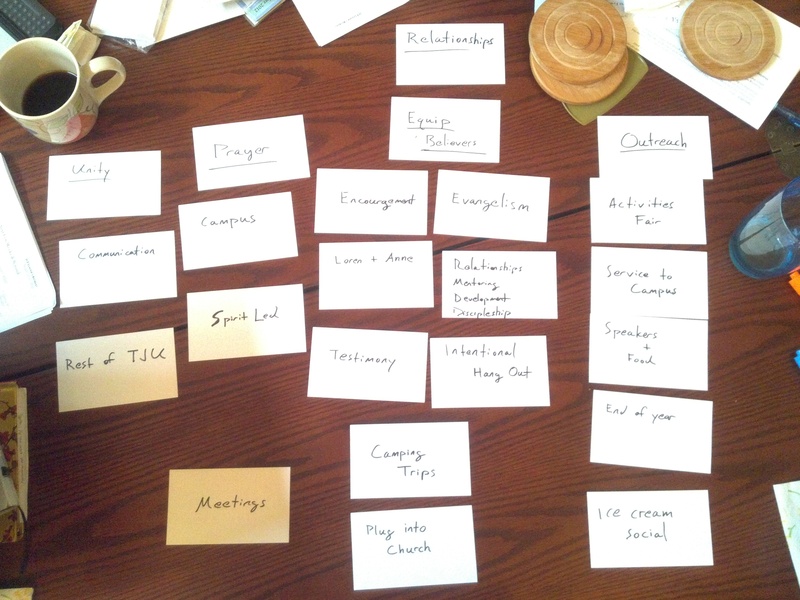 Pray also that God gives us wisdom as we help campus leaders plan for the fall. Also, many new students and residents will be coming to town, so please ask that we connect with them quickly and start forming relationships with them. Pray also for me and our student leadership team as we plan for our fall ‘Intermed’, our gathering of students/professionals for worship, teaching and fellowship. It’s a great opportunity for me to invest in many of our key leaders, and, for them to get hands-on experience that will prepare them for future investment as they become healthcare providers! Finally, pray for this fall’s incoming students. We are praying for many Christians, skeptics and seekers that we can encourage on their own journeys to Jesus. One Month Checkup: What Did We Learn From Dr. Levy? We see it all the time with patients. Physicians ask them to take their medications, follow a certain regimen, and so on, only to see those patients disregard their orders to their own detriment. Advice only works if we take it in the trenches of everyday life! If we’re honest, of course, we know it’s easier said than done. So, now that it’s been roughly one month since Dr. David Levy gave his Intermed talks in Philadelphia, I wanted to review what he talked about and see if we’ve continued taking the ‘medicine’ he prescribed. Who we are matters more than what we say. Dr. Levy gave some of the best talks I’ve heard in a long time. The content was tremendous. But, the thing that made them so great is that they flowed out of his living, dynamic relationship with God. Even though he’s a highly-trained neurosurgeon, it’s immediately obvious that he understands – really – that God is absolutely vital to every moment. During our rides in the car to and from events, he would often spontaneously just offer short prayers of thanks or need. And so, his talks were essentially just an outflow of who he is, and his walk with Christ, each day. Our hope lies in God, not our abilities. In ways big and small, Dr. Levy really modeled that the difference-maker in our lives is God, not us. We believe that on one level, but our lives often show we really don’t. There was a moment where Dr. Levy mentioned a passage from Isaiah where God talks about revealing new things to his people for their benefit. Reflecting on that, Dr. Levy mentioned that he’s been thinking, “You know, that’s what I need… for God to show up and show me something new, something I can’t come up with on my own.” Dr. Levy has recaptured this idea that God can break into our lives at any moment and take us way further than we ever could on our own. After listening to his talks, you may have your own takeaways. The key, though, is asking God to help us start living it out. (I’m working through the declaration of forgiveness pretty regularly). That’s where life becomes exciting, where we go beyond information downloads to real-life change. That should be true whether we’re listening to a talk, a sermon, or just looking around us (see Proverbs). When we do that, each day becomes a new adventure. What one thing is God leading you to start living out? Just this morning, Dr. David Levy drove off to New York City for the final stage of his East Coast trip. It marked the end of a wonderful week of ministry in Philadelphia, so I wanted to provide you with a brief report of his time here. This was our biggest event of the week, with well over 100 in attendance on Friday and Saturday. In addition to our usual student population, we made an effort to attract more residents and graduates this time, and we made good progress on that front. Without exaggeration, the talks by author and neurosurgeon Dr. Levy were some of the best I’ve heard in a long time. His messages on sharing faith with those around us, forgiveness and joy combined humor, real-life experience, Scripture and specific application in a very special way. At the end of the sessions, he walked us through practical exercises on forgiveness and letting go of offenses that created an atmosphere that was, at once, both serious and light. After the exercise on forgiveness, one student said, “Up until now, I’ve been angry with my mom, but I couldn’t really say why. Dr. Levy’s practical examples helped me put words to my anger so that I could confess it and forgive my mom.” She was almost giddy with joy as she shared, and many related similar stories. God was at work! 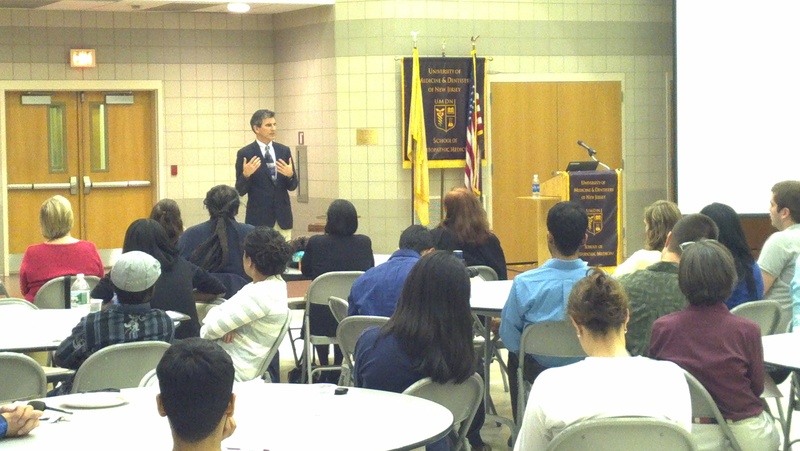 In addition to Intermed, Dr. Levy spoke at the Temple, UMDNJ-SOM (Stratford, NJ) and Penn medical campuses. These were exciting events, with an unusual mixture of Christians and others at various points in their own spiritual journeys. At SOM, about 55 people came out to hear Dr. Levy speak over dinner. Jasen, one of the student leaders, had attracted a unique group of believers and spiritually-open folks from the school and surrounding community. One student said the presentation was the best he had heard the entire year! Later, 12-15 of us went back with Dr. Levy to the Hrics’ home to continue the conversation over dessert. Dr. Hric and his wife Susan have made their home a ‘safe place’ for people seeking truth, and our time together there was phenomenal. Dr. Levy invited each of us to share our spiritual journey, starting with our experience growing up. One student, honest about being agnostic, expressed his respect for the humility he’s observed in Christians. He understands the connection to the Christian faith, where our God, though strong, came to serve the weak. The next day, another student texted me, saying “last night was the most enriching night I’ve had in a very long time, possibly ever.” I’ve heard testimony today that those came are still telling others and that there’s an overall buzz and excitement! It’s really hard to communicate in an email how absolutely wonderful this week was. Everyone who participated came away challenged and encouraged. ‘Friendships with a purpose’ were created and renewed. And, there has been a real synergy created by so many people coming together for a common purpose. Thank you, thank you for your prayers! Please keep praying that God continues working, and that we intentionally engage others, in the weeks ahead!